This Easter, Basic Fun Toys has lots of fun toys for your Easter baskets. Check out my fun reviews revealing the mystery toys or as we in the toy business call them, blind bag toys, that are available! Disclosure: I received toys to review for my honest personal opinion. Check out my video reviews below and learn more about these fun toys! • Hot new wearable collectibles! • Kids can make their own unique fashion statement & collect with friends! that can be seen and one that's a surprise! • 24 to collect, kids may unbox a Rare or Ultra Rare new friend! • Mash'ems are soft, water filled collectibles that kids love to mash, twist and stretch. • Squishy, everlasting balloon-animal figures that never deflate! shake it up, watch it inflate! magic, but it's a safe, baking-soda chemical reaction. Metallic Rare, and 2 Glitter Ultra Rare! • Mix, match, and trade the Foodie Friends to create the cutest little menu around! collect all twelve different Cutetitos (including some super rare ones)! hot or super spicy), their birthday and favorite “quotito”. 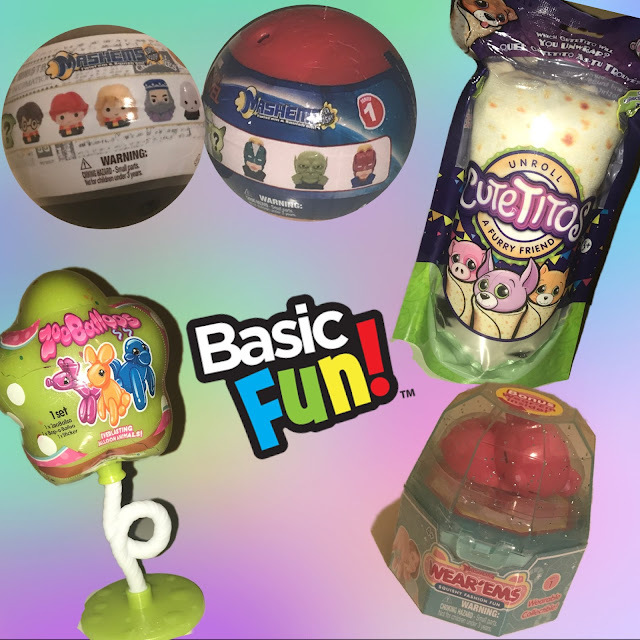 You can learn more about these toys by signing up for their newsletter on their website, or connecting with Basic Fun on social media! My daughter would absolutely love those new Mash'ems Wear'Ems, they are definitely something she would flip over! I think the ZooBalloos are super cute too! I have been seeing them everywhere on social media lately, I really want to check them out! These are some really cute ideas for the little ones. I really like the ZooBalloos.